When it comes to the early childhood workforce, American educators and advocates may know what their state’s policies are. With their expertise and knowledge, and with support from research and leading organizations, they may be able to define what they want their state’s policies to be, particularly for teachers of children from birth through age eight (B–8). But given each state’s complex systems, it can be difficult for advocates and educators to realize their workforce goals. The political landscape can present a number of formidable challenges to knowing and acting on what policy levers to pull, with whom, for whom, and in what order. As part of a commitment to advancing a strong and diverse early childhood education (ECE) profession, the National Association for the Education of Young Children (NAEYC) and New America are among a number of national, state, and local organizations who are engaged in the collective Power to the Profession initiative. This initiative aims to establish a shared framework of career pathways, knowledge and competencies, qualifications, standards, and compensation that unifies the entire profession across states and settings. As part of an effort to prepare for the implementation of a comprehensive policy and financing strategy based on the Power to the Profession recommendations, NAEYC and New America, with support from Child Care Aware of America, are working with states to identify and analyze their key policies, governance bodies, and decision-making processes and positions related to the B–8 workforce. Our project’s goal, borne out of an identified need from state partners, is to help advocates prepare for, develop, and ultimately implement a process for achieving a strong, supported, and diverse early childhood education profession. Recognizing that each state has its own complexities, the first step is to delve deeply enough to uncover a state’s internal systems, structures, and regulations. We realize that to do this, advocates and policymakers will need a new tool, something akin to an MRI machine for scanning a state’s policy and regulatory structures. We developed a comprehensive questionnaire to serve this purpose. The answers that come from this questionnaire can help people spot where opportunities, gaps, and blockages exist and where infrastructure is strong and weak, while also helping to establish paths for moving forward. To ensure this questionnaire tool uncovered the most useful information, we piloted it in early 2017 with three states: Indiana, New York, and Wisconsin. This particular brief, the first of a series, uses answers from those states to illustrate what types of new information can emerge from such a scan, particularly in the areas of governance, competencies, and preparation policies. 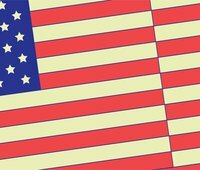 These states share distinct similarities as well as important differences in their political climate, demographic composition, and history with early childhood and K–12 education. This brief teases out some of those similarities and differences, providing important information to the three participating states, while drawing lessons for the others about the kinds of questions to ask and answer when mapping out priorities and strategies for change. Advocates and state leaders, including NAEYC Affiliate leaders; child care resource and referral agency leaders; and others were involved in completing the questionnaire using a combination of written responses, phone, and in-person interviews. We reviewed state agency websites for additional information. While the long-term goal of this project is to work with state early childhood advocates to arrive at a clear and complete scan, diagnosis, and prescription for enacting workforce policy changes to support a strong and diverse profession, an intermediate goal is to provide the questionnaire tool itself to any state interested in using it. 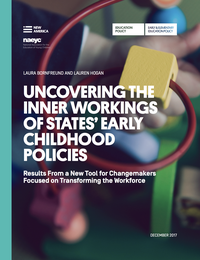 The three participating states who served as a pilot of our tool have helped to refine it, and the revised questionnaire is available free on NAEYC's website and in the tools section of Transforming the Early Education Workforce: A Multimedia Guidebook launched in December 2017 by New America. The complete data set from the piloted use of the questionnaire is also being returned to each state for its own and ongoing use.